Ivan R. Dee Publisher, 9781566635585, 288pp. With Brecht and Meyerhold, Antonin Artaud was one of the great visionaries of twentieth-century theatre, best known perhaps for what he called the "Theatre of Cruelty." 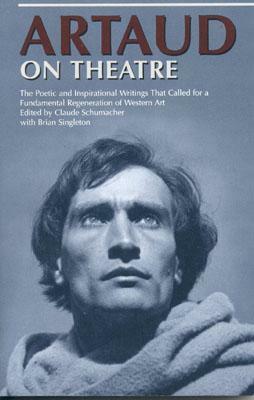 This revised and updated edition of Artaud on Theatre contains all of his key writings on theatre and cinema from 1921 to his death in 1948, including new selections which have never before appeared in English. Together with an Introduction, biographical notes, and commentary, the collection charts Artaud's work from his early association with surrealism, through his founding of the Th tre Alfred Jarry, to the invocation of his compelling vision in his most famous manifesto, The Theatre and Its Double. Artaud's poetic and inspirational writings called for a fundamental regeneration of Western art. He wanted to return the theatre to its roots in ritual and to transform the audience through total emotional, psychic, and physical involvement. Anarchic and disruptive, he was misunderstood, silenced, and ostracized in his lifetime, but was later championed as an icon of the sixties counterculture. His ideas have inspired the work of Genet, Arrabal, The Living Theatre, Grotowski, Brook, and most of the experimental drama and performance work of recent decades. "One of the great daring mapmakers of consciousness in extremis." --Susan Sontag. Claude Schumacher has also written Staging the Holocaust and edited Naturalism and Symbolism in European Theatre. He lives in London.